Google Stadia: The Future or a Flop? Google recently announced their entry into the video game market with their product, Stadia. As Google puts it, the future of gaming “is not a box. 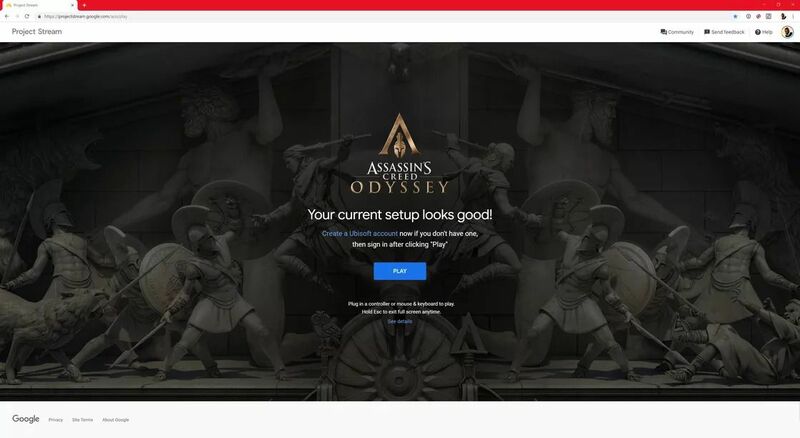 It’s a place.” What differentiates this product from the rest of the pack is that Stadia runs solely on the cloud. Instead of needing a $300+ gaming console, the player would simply need an internet connection and access to a Google Chrome browser. This would enable access to games on any TV, computer, tablet or phone to act as a fully-fledged gaming console. Despite these exciting promises, Google has left a lot of questions to be answered as to how this would actually work. Stadia is relying heavily on Google’s YouTube and Chrome services in order to capitalize on the immense popularity on games such as Fortnite. Unveiled on March 19th, Stadia allows gamers to have access like they never have before. When they watch a game clip on YouTube, Stadia would allow them to instantly play this game in their browser. Streamers, known on Twitch to have millions of followers and make $100,000+ a year, would be able to be more interactive by creating lobbies for their fans and playing together. This technology is really trying to capture the YouTube generation of kids who want to play along with the people who they watch online. Although I think that this technology has a lot of promise, there are a lot of challenges to overcome before it can compete with the likes of Xbox and Playstation. One of the biggest issues is the topic of connectivity. Stadia would require relatively normal speeds of ~25 Mbps to play a game with any real reliability. This could be an issue in rural areas of the United States or low-income areas, who would be ideal customers of a cloud-based gaming service. Additionally, would anyone really want to switch from their traditional console to play over the cloud? Will any popular titles be developed solely for the Stadia or will it just offer games no one really wants to play? I’m interested to see how Google handles these issues going forward. What do you think? In theory I think that this idea is genius. The fact you don’t a physical console and only need a tablet or phone or computer is a game changer because all of these devices are relatively normal commodities that the average person owns. The only barrier as you said is the need of a constant good internet connection to stream all these games. I think that Google will leverage its internet service, Google Fiber and expand into more areas to provide people with a fiber optic connection that offers data speeds up to 1,000 Mbps. I think this idea is brilliant and I personally hope this takes off. Historically, people had to pay a relatively high upfront cost just to play games. Now you can play triple A titles on your existing devices as long as you have a decent internet connection. I think the real challenge would be price and latency though. If the price is too high at its introduction, that would shy away a lot of the customers and Stadia might suffer a slow death. Also, latency is going to be an issue as a lot of competitive games like CS:GO and Overwatch depend on having the lowest lag possible.